The first team alphabetically is the worst team designally. I know, not a word, but isn’t the poetry delicious? Anyway, we start off scraping the bottom of the barrel with the Anaheim Ducks. Overall, the logo itself is not too bad. It’s somewhat distinctive, although relatively bland, and it tries really hard to make the best out of a bad situation. Creating a logo that relates to ducks for a sport that is built on fluidity, grace, speed and toughness (all things that ducks are not) can’t be an easy task, and they do it as well as one could hope. Did I mention that they actually fly hundreds of miles to avoid winter and ice. At least it has nothing to do with Disney anymore. 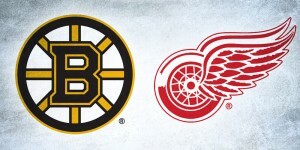 But (and you knew that ‘but’ was coming), the logo still fails horribly because it failed to follow the one standard that every team in the NHL, and pretty much every single team in professional sports, follows. Take a look at this. Notice a team that kind of sticks out? 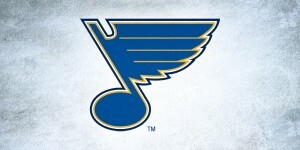 My guess is that the agency/design team who designed this logo had never designed a sports logo before in their lives. The landscape (almost panoramic) orientation of their logo goes against almost every other sports logo out there. While I’m all for being an individual, the problem is that there’s a reason why team logos are generally square in orientation: it looks great on a hockey jersey. It can be large and prominent, the centre of attention. It is the first point of contact for the brand of a team. Instead, the Ducks logos become hidden and hard to read compared to other teams. Even the “C” on Getzlaf’s jersey is bigger than the logo font. And the “Anaheim” is totally unreadable. If you were this guy, the extreme logo orientation on a jersey might work better. The other problem is that because all the other sports teams in the world’s logos are oriented a certain way, sports television tends to build their graphics and visual scoreboards to accommodate, putting Anaheim at a disadvantage yet again. This is a minor issue, but an issue nonetheless. Think I’m wrong about the inherit problems with the logo? Have you seen the third jersey the Ducks rolled out last year? Looks like they learned their lesson and came to the same realization after a couple of years. I’m predicting now that these will eventually become their primary jersey within the next year or two. One of the primary aspects of design is that there has to be a balance between aesthetics and functionality. 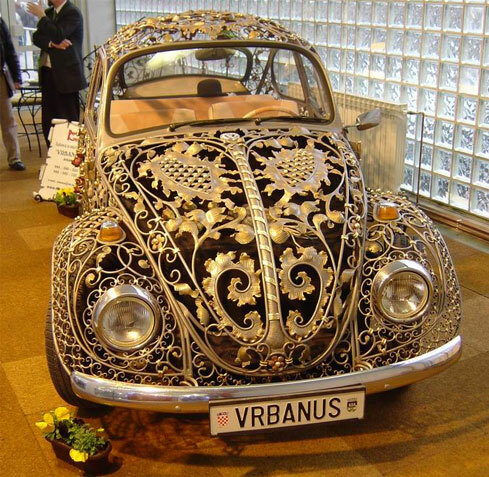 You could design an amazing gold-laden car, but if it’s on an old Beetle, it probably still won’t drive that well. 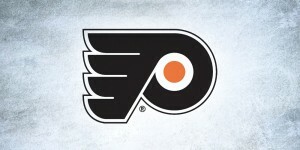 So, the worst logo in the league, punished for it’s lack of functionality, is the Anaheim Ducks. #29 will be coming soon! You are totally right. I’m a new fan of the game in the last couple of years, so I’ve paid relatively little time looking at jerseys and such, but last week when the Canucks played the Ducks in Anaheim, it took me a while to figure out what the weird logo was even supposed to be. Then when it hit me, all I could think was “Whoa! That is a freaking ugly jersey. When did they change from their other ugly duckling jersey?” This one is certainly not turning into a swan anytime soon. Thanks for your designer insight. Thanks for the comment! It made my day. Hope your enjoying hockey so far. To me, it’s the best sport in the world. I know your field is graphics, but you continually type “it’s” when you should be typing “its.” “It’s” is a contraction for “it is,” not a possessive. Otherwise, your site is great. We all have our weaknesses. I try to make sure those are correct, but a few slip by. I really love this ducks logo…. tees looks awesome with it.. I had my tee print using this high graphic logo http://www.bhmpics.com/anaheim_ducks-wallpapers.html with zazzle. Hope i can share here my tee photo. Another beef: the big D alone is obviously supposed to be a duck’s footprint. Which would have the duck walking to the left… but the design looks like a lame, rounded arrow pointing right. Just doesn’t work.